Babylon 5 is a game-changing, ground breaking, emmy-award winning TV series that is in danger of becoming lost and forgotten. Shortly after hearing that 2 shows in the US and UK respectively had stopped showing the series, we heard that Amazon Prime have begun showing the series on their streaming channel, Prime Video! B5 Back on TV in the UK! Petition Warner Brothers for B5 in HD! Babylon 5 Now on Amazon Prime in US! Babylon 5 has something for everyone. The story focuses on the relationships and entwined destinies of a multitude of charachters. Some find love, some face tragedy. There are epic plotlines, rich alien cultures, and bucket loads of space battles. Show creator JMS still plans to make a Babylon 5 movie. Why is Babylon 5 Important? Babylon 5 was a watershed moment for television. It was the first sci-fi show to feature story arcs that continued past 2-hour specials. It was the first to use only computer-generated spaceship effects. Its story inspired a generation. 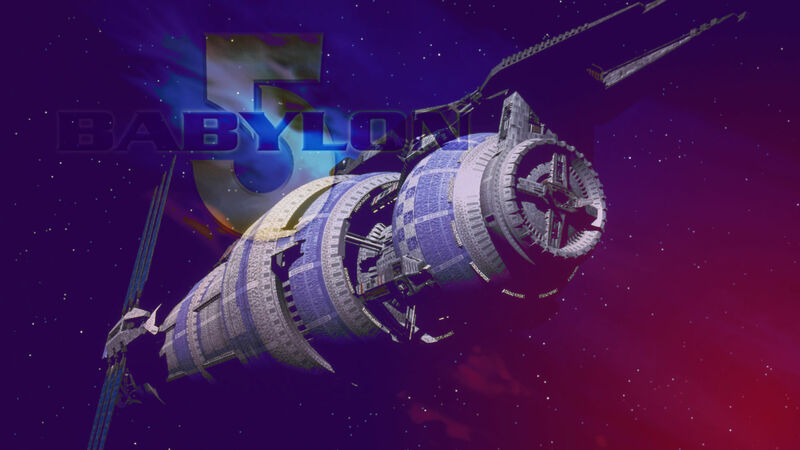 Without Babylon 5, there would probably be no Battlestar Galactica, no Firefly, and no Marvel Cinematic Universe. But it's rarely on air anywhere and isn't shown on major internet TV services. All content © the respective copyright owners. Babylon 5, characters, names, and all related indicia are trademarks of Warner Bros. Entertainment, Inc. ©1994-2013 All Rights Reserved.